For those who haven’t played Sierra del Rio Golf Club in a while, you’ll see a familiar face. 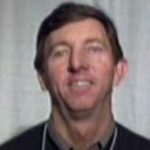 Steve Schoch, formerly head professional at Cochiti and Riverview golf courses, is Sierra del Rio's head golf professional. 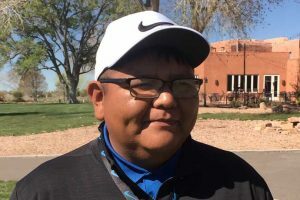 Schoch, who started last October, oversees about 20 people at what is becoming the most unlikely success story in New Mexico golf. Sierra del Rio is returning from the brink of closure to reclaim its place among the top courses in the state. 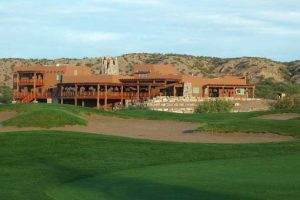 “I really want to get this golf course back into the top five courses in New Mexico, and I think we’re well on our way,” Schoch said. A key part of the turnaround came in April 2017 when the City of Elephant Butte took over the struggling course. Sierra del Rio had been hanging on by a thread since 2014 thanks to the efforts of a group of community volunteers. Its owner planned to close it. 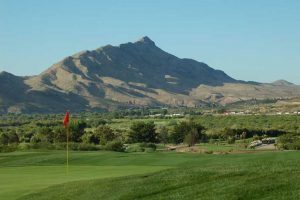 When the developer offered to give the course to the city, Elephant Butte Mayor Eunice Kent recognized the potential of the course and its clubhouse to become a social hub for the community, and she led the effort to take over the course. Kent said Sierra del Rio markets itself as a dining and entertainment venue for the entire Elephant Butte/Truth or Consequences area. 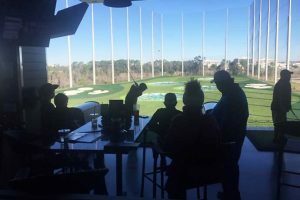 “It's no longer a golf course with a restaurant; it's a place where everybody goes for lunch or dinner, for a drink, to sit on the patio, to go dancing,” she said. “It really is one of our signature properties,” Kent said. With City of Elephant Butte investment in staff and equipment, Schoch said Sierra del Rio now is in better shape than when it opened in 2007. 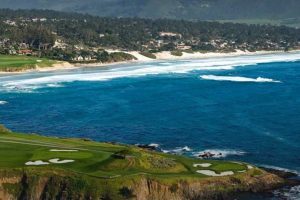 “It’s still very much a desert golf course, but we’ve done a lot to manicure the fairways and greens,” he said. Prime-time greens fees at Sierra del Rio are $45 to $55, which includes range balls and cart. 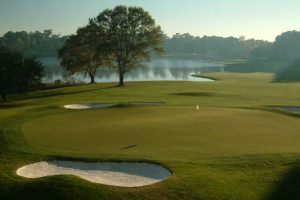 A weekly Tuesday special brings the greens fee with range balls and cart to $35. 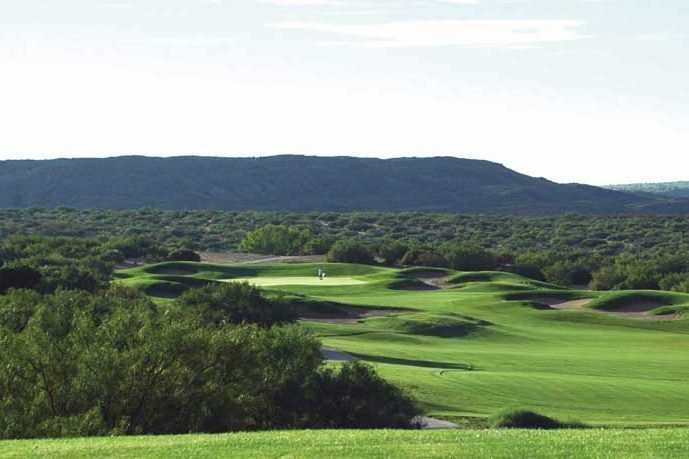 Sierra del Rio is closer to Albuquerque than most local players think – just a two-hour drive from central Albuquerque. For Schoch, returning to Sierra del Rio is a homecoming of sorts. 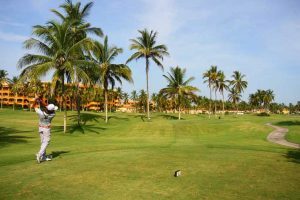 He worked at the course in the late 1990s when it was known as the Oasis Golf Resort. He later moved on to Cochiti and later to Riverview Golf Course in Kirtland, N.M., where he spent the last ten years. 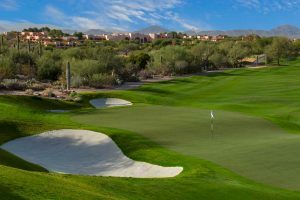 In an interview, Schoch said he anticipates getting Sierra del Rio plugged into an online tee-time reservation system, which should boost its online footprint and get the course on the radar of vacationers passing through New Mexico. Schoch said he expects to do 20,000 rounds in 2019. 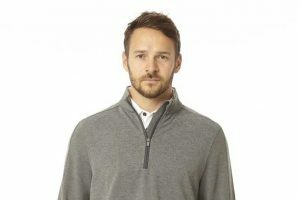 The mayor said the course, restaurant and bar, which are operated as self-supporting enterprise funds, are breaking even. “The City of Elephant Butte is ripe for expansion given the activity of the New Mexico Spaceport, which is 18 miles away as the crow flies and maybe 25 miles by car,” Schoch said. “It’s interesting to see people from the north and Texas and Colorado who are looking for a warmer place to hang their hat,” Schoch said. An RV resort is close enough to be accessible by golf cart, he said. Last year, the city approved the operation of golf carts on city streets. 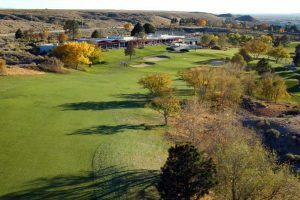 The vacationing RV traveler was the original target market for Sierra del Rio when the course and the related Turtleback Mountain Resort were built, said Guy Wimberly, long-time Albuquerque golf entrepreneur, who teamed with Breckenridge, Col., developer Jack Whitt in 2006 to launch the project. 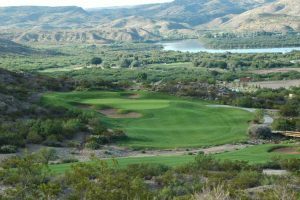 Wimberly and Whitt had hoped to make the course and Turtleback Mountain a magnet for retirees seeking a second home and high-end RV vacationers looking for a short- to mid-term stopover.. Sales for the proposed 1,250-home development were doing well until the floor fell out of the real estate market in 2008, less than a year after Sierra del Rio opened. The course's grand opening featured a $36,000 match featuring Nancy Lopez, Rosie Jones, Natalie Gulbis and Kathy Whitworth. All but Gulbis have ties to New Mexico.